The Raptor is the latest in percussion therapy technology. It is the most powerful and precise tool used to compliment a deep tissue treatment using six different speeds and four interchangeable attachments. This myofascial release mechanism administers deep tissue percussive penetration that achieves better results with minimal to no discomfort. It is compact and powerful, with adjustable speeds and interchangeable applicators that are suitable for hundreds of protocols. Although the RAPTOR does not replace the benefits of direct human touch and deep tissue massage, it greatly improves the effectiveness of treatment. 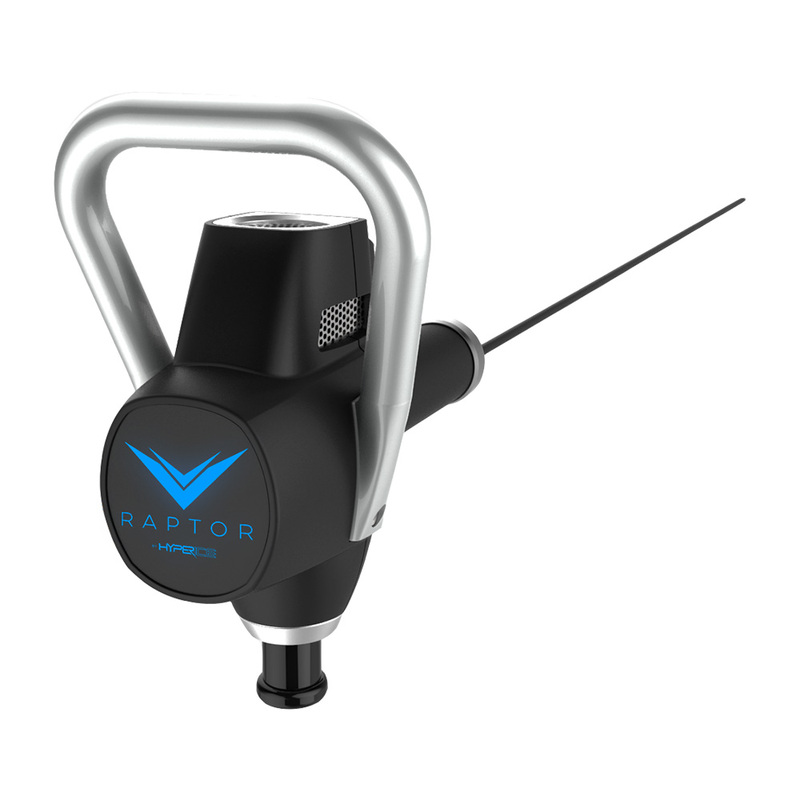 The RAPTOR allows a good practitioner to administer a much more effective treatment in a shorter period of time. Here, we call it “THE HAMMER"
The DMS concentrates on general or local muscle spasms. It increases muscle metabolism and increases the lactic acid cycle to relieve pain. Deep, rapid, short-duration percussion is the key to the elimination of pain. The DMS can be used in effective management of acute and chronic pain, not exclusive to, but including: migraine headaches, sciatica, TMJ, carpal tunnel syndrome, tendonitis, bursitis, edema, myofascial pain and frozen joints. Percussion Therapy is known to increase the circulation of blood and flow of lymph. The direct mechanical effect of rhythmical pressure and movement used can dramatically increase the rate of blood flow. The stimulation of nerve receptors causes the blood vessels to dilate, which also facilitates blood flow. It can help loosen contracted, shortened muscles and can stimulate weak, flaccid muscles. This muscle “balancing” can help posture and promote more efficient movement. Q: I've seen people at my local gym with their own cordless, battery-powered, hand-held version of these kinds of tools. Why not just buy my own? The percussion therapy tools used in the Doctor's office are professional-grade and very specific in treatment protocols to achieve the most optimal results. Percussive therapy provides concentrated, rapid, and short-duration pulses into the tissues of the body. It should feel like a precise, deep tissue massage and may leave you a little sore because there is increased blood flow to that area of the body where you're gaining pain relief and an increase in range of motion and function. Percussion therapy goes for about 10-15 minutes in conjunction with your overall treatment, but can also be requested as its own separate service for a longer duration.